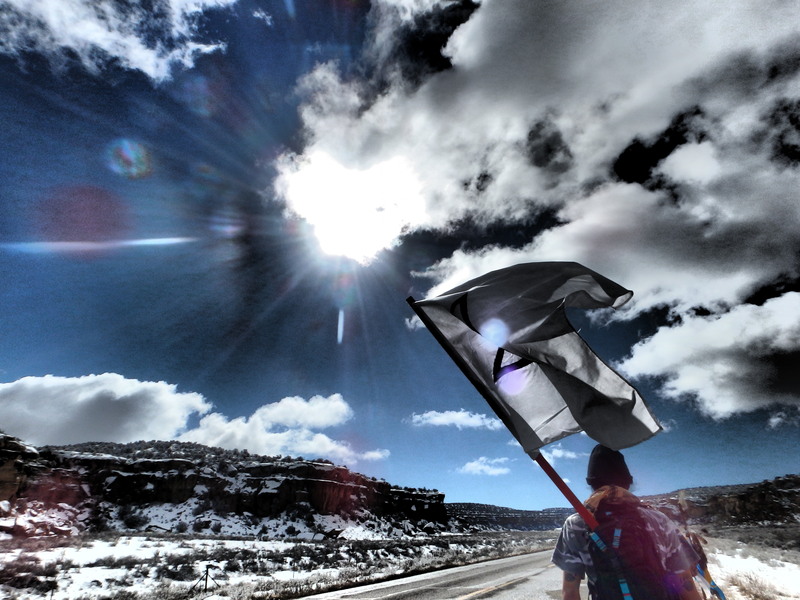 ← Help Us Support a Walk Across Dinétah in January! Starting on January 6, Seeds of Peace began a month long walk with Nihígaal bee Iiná, a Diné youth group undertaking a year long prayer walk to the four sacred mountains on Dinétah, also known as the Navajo Nation. Winding more than 200 miles through the Eastern agencies and checkerboard Navajo trust lands, our caravan visited families, chapter houses and communities being affected by the onset of the next big U.S. oil boom from fracking. It was evident from the beginning how powerful the simple act of walking was, and being invited to join was a huge honor. This journey was only the first leg of the walk, which started near Bloomfield, NM and ended at Tsoodzil (Mount Taylor) near Grants, NM. Our role, of course, was one of support. As we were en route to the first morning of the walk our kitchen bus, loaded with food and supplies, decided that its prodigious career as a movement work-horse was over. The engine seized and our dream of an easy, self-contained kitchen to work in was over. For three days we sat on the shoulder of Highway 64, trying at first to find someone who could fix the bus, and finally trying to find someone to take it off our hands. In a matter of hours we stripped a decade of movement history into an empty shell and returned our equipment in a rented truck back to our base in Moab, UT. We paired our kitchen down to a bare minimum and returned to the walk three days late, a bit weary but just as determined to support this amazing journey. The local support that we encountered along the way made for a surprisingly stress-less affair. As the walk progressed through the rural communities, sacred sites, and oil fields, we experienced much gratitude and solidarity from local Diné communities. For the first three weeks we were able to use Chapter house kitchens, freeing us from hours of equipment setup and water hauling. It also gave the walkers a warm sleeping space and a comfortable environment to engage with families and community members. In the spectrum of support work for a walk, it could not have been any easier. 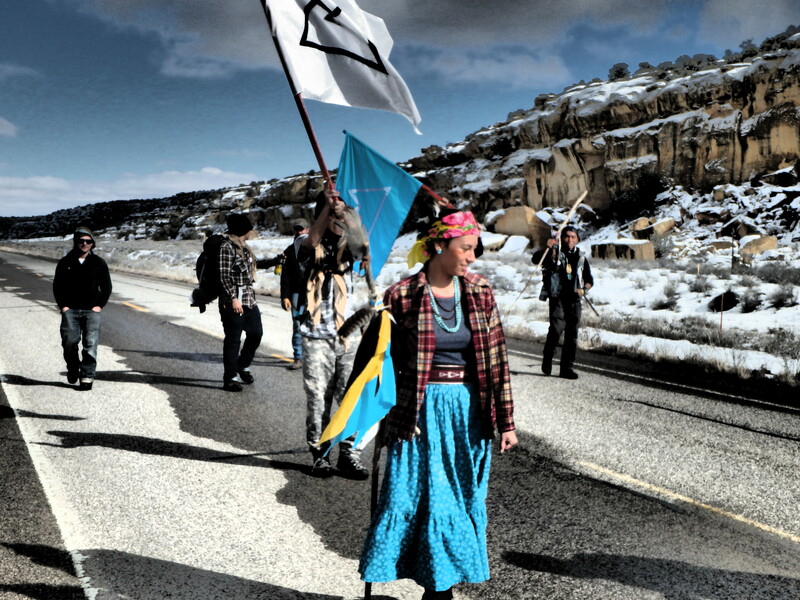 The walk itself was organized in response to a major increase in oil and gas exploration and fracking in the San Juan Basin in the last three years. The basin encompasses Northwestern New Mexico and Southwest Colorado, and is referred to by many as the “next Bakken” (currently the largest oil play in the lower 48 states). The area around Chaco Canyon is especially hard hit with development. Some days, the walkers were forced to wear respirators because the air was so toxic. Many residents of the region were caught off guard, being tricked into signing agreements that forfeit their mineral rights to oil companies or living on family allotments where only a small percentage of the people living there have to sign. Unknowingly, they helped unleash a boom-and-bust industry known for its violence, pollution and impoverishment. In the three short years since drilling began reports of sexual violence, respiratory disease and water pollution have seen a marked increase. Members of Nihígaal bee Iiná are now fighting back, documenting the experiences of community members and listening to ideas on ways to slow the progress and stop proposed infrastructure projects like the Piñon Pipeline. By amplifying the voices of those affected by this boom (as well as coal and uranium extraction), the walkers hope to ignite a movement in an area often ignored by a mainstream and mostly white environmental movement. 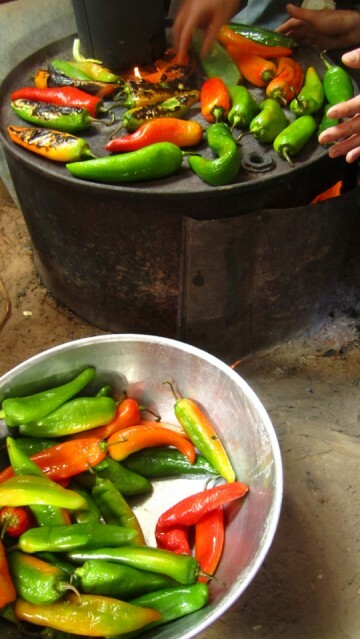 Experiencing this journey through the lens of a food supporter gave an intriguing perspective. Working with elders along the way we were reminded of the truly powerful medicinal properties of preparing and eating traditional Diné foods – corn, squash, beans, mutton and even horse. We were able to add a bit of fusion to these traditional foods, like mutton pot pie and elk tamales, which was received enthusiastically by elders and youth alike. In most events that we support, the role of food is always pretty clear – we take care of feeding people so they can engage in other, often more “important” work. This journey was different. It was obvious how central these foods are in healing people and the land, and in the larger process of decolonization. 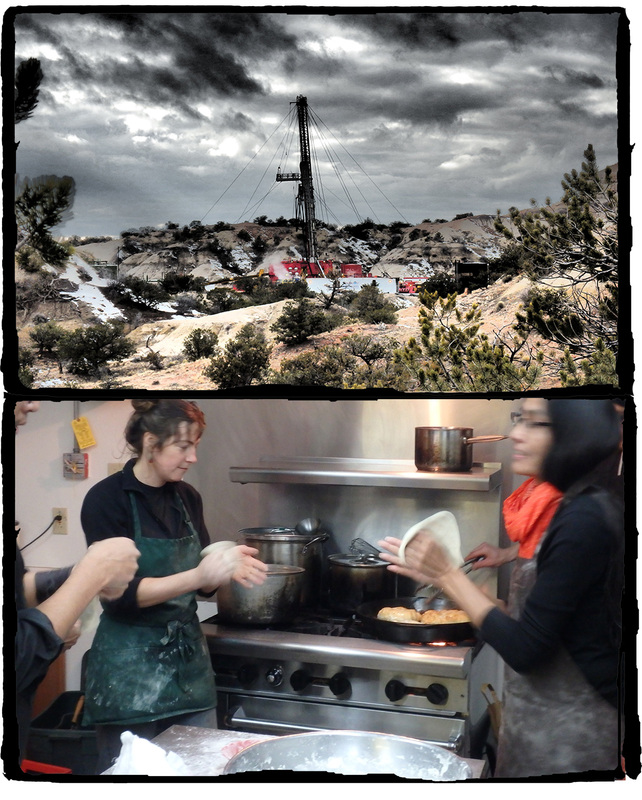 Making food was honored as important work alongside prayer, ceremony, and engaging with the people affected by this oil boom. We were very grateful to do this support work. It felt like true solidarity, and folks made that obvious before and after every meal. What was more striking about the journey was the response to the walk from the larger community. Most folks in Dinétah don’t have the time or resources to build and wage effective campaigns against the oil invasion. So, Nihígaal bee Iiná is doing just that. The response from elders and their families along the way was nearly unanimous – that these brave women and warriors are the generation that will turn the tide and decolonize a nation and tribal government deeply entrenched in resource extraction. Restoring the idea of Hózhó – living in a manner that strives to create and maintain balance, harmony, beauty and order- can best describe what this walk is doing. Their activism could not come soon enough. Over the next year the group and their supporters will walk to each of the three other sacred mountains; Dibé Nitsaa (Mount Hesperus), Doko’oosliid (San Francisco Peaks) and Tsisnaasjini’ (Mount Blanca), beginning on the equinox (March and September) and the solstice (June). 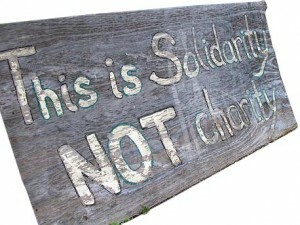 Seeds of Peace will be supporting some, but not all, of the subsequent walks. To find out more, or to possibly join us on this amazing journey send us an email at seedsofpeace@riseup.net.